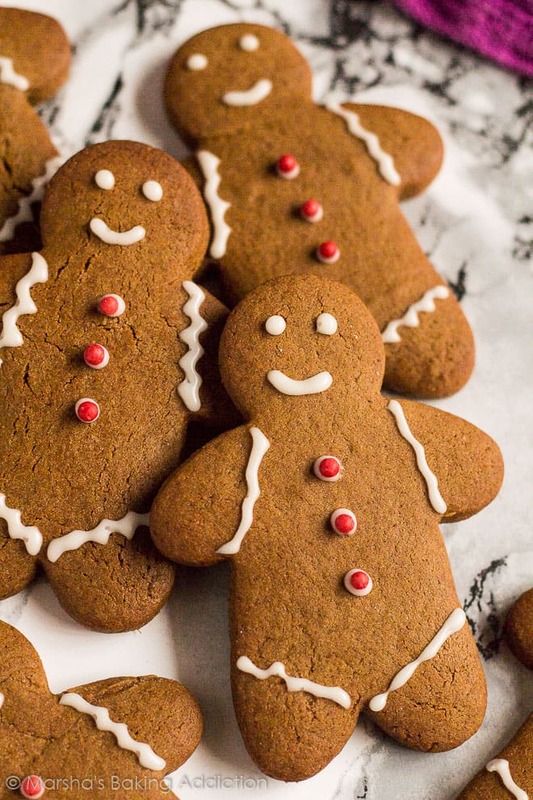 Gingerbread Men – Deliciously ginger-spiced cookies that are slightly soft on the inside, and crispy on the outside, and decorated with icing! 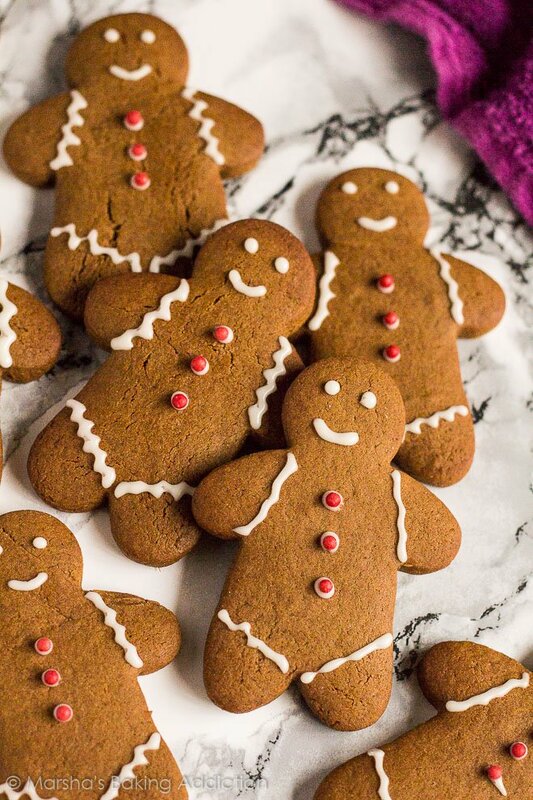 Gingerbread Men. The MUST-make cookies for Christmas. 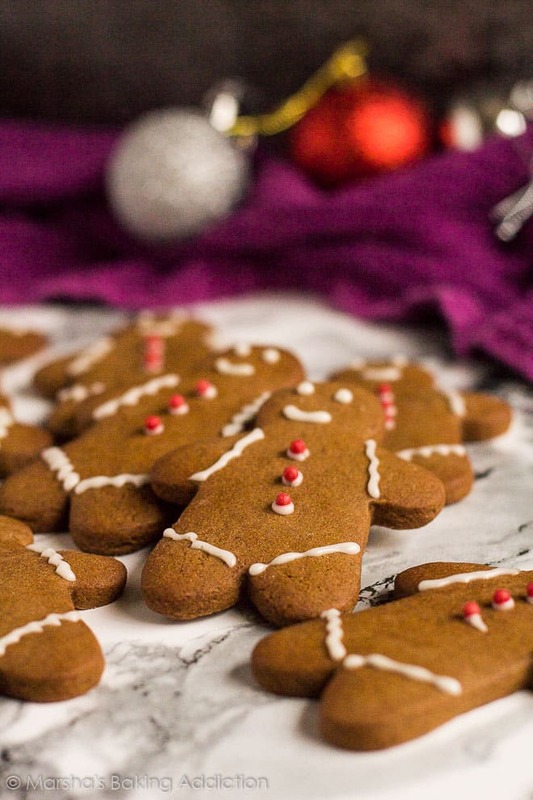 And today, I bring you my Gingerbread Men recipe! 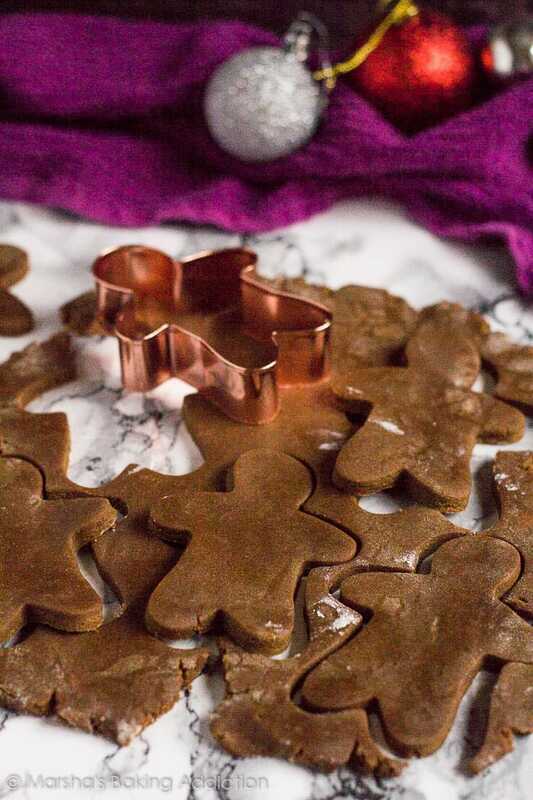 This gingerbread recipe is a super easy one, that takes 10 minutes to throw together, and at least 3 hours in the fridge to chill before rolling and cutting into shapes. I like to leave my dough to chill overnight. Perfect for preparing the night before Christmas! The dough stays fresh for up to 3 days in the fridge, and can also be frozen for up to 3 months. 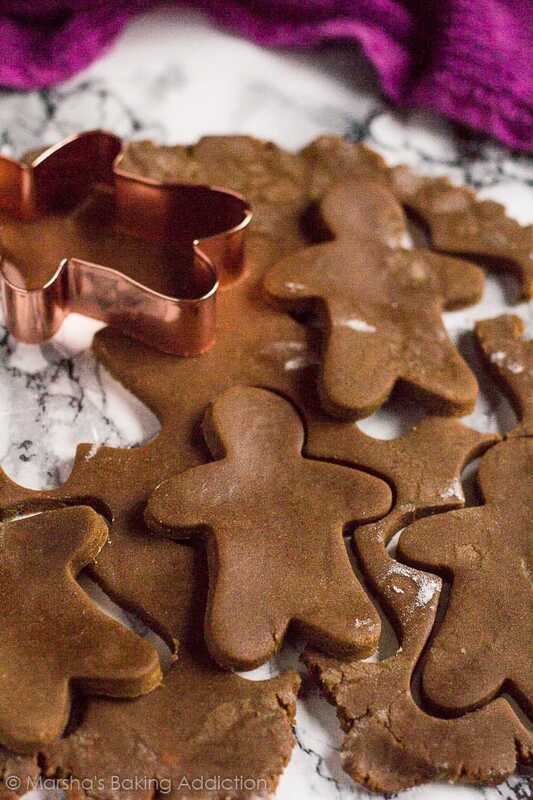 Perfect for when you’re short on time, but still want to make homemade Christmas cookies to share! 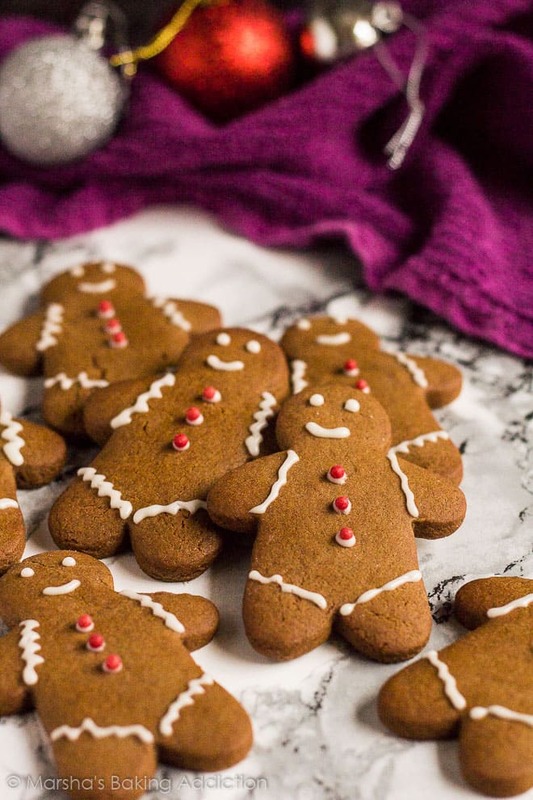 More Christmas recipes to try! 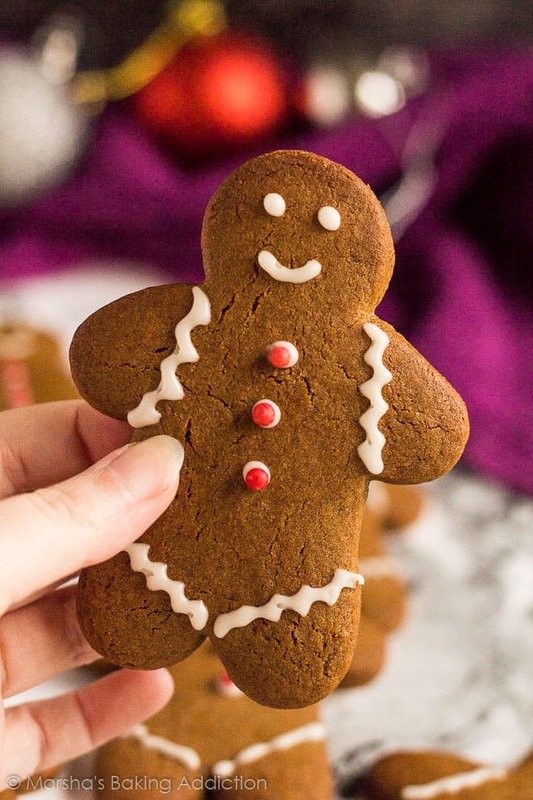 Deliciously ginger-spiced cookies that are slightly soft on the inside, and crispy on the outside, and decorated with icing! Whisk together the flour, baking soda, salt, and spices. Set aside. Using a handheld or stand mixer fitted with the paddle attachment, beat the butter until smooth and creamy. Add the sugar and molasses, and beat until combined. Add the egg, and beat until combined. Add the dry ingredients, and mix until combined. Divide the dough in half and shape into discs. Wrap each one in clingfilm and chill in the fridge for at least 3 hours and up to 3 days. I like to chill mine overnight. Preheat the oven to 180C/350F/Gas 4, and line a baking tray with parchment paper or a silicone mat. Set aside. On a generously floured surface, roll 1 disc of dough until about 1/4-inch thick. Cut into shapes, and place them onto the prepared baking tray. Re-roll any dough scraps to make more shapes. Repeat with the other dough disc. Bake for 9 - 10 minutes. Allow to cool for 5 minutes before transferring them to a wire rack to cool completely. In a small bowl, stir together the icing sugar and milk until smooth. Stir in the vanilla and golden syrup until smooth and glossy. Add food colouring, if desired. If icing is too thick, add more milk. Decorate cookies as desired, and enjoy! Cookies stay fresh covered at room temperature for up to 1 week. Baked and decorated cookies freeze well for up to 3 months. Dough discs freeze well for up to 3 months. Thaw overnight in the fridge before rolling, shaping, and baking. Nutrition information isn’t always accurate. These look amazing! I’ve never chilled my gingerbread dough like that before. 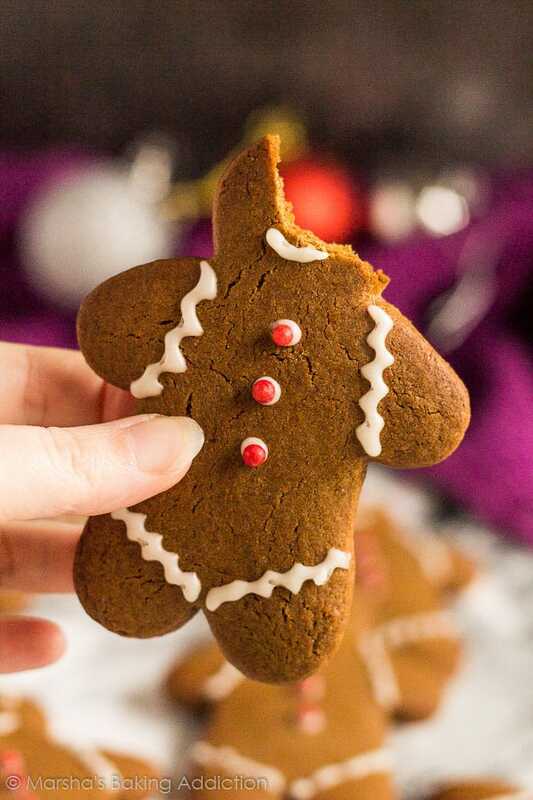 I do for other cookies, but not gingerbread. I think I need to start, though, becaue these came out perfectly. And that icing work is cute! 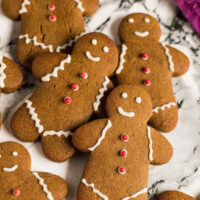 These have got to be the most perfect gingerbread men ever!! Love how adorable they are, Marsha! Totally gets me in the mood for the holidays. Side note: is it totally weird that I got a kick out of seeing the one with its head bitten off? Lol. Thanks, Sandi! Yes, you can use maple syrup 🙂 I hope you enjoy!